Discover the treasures of the land by sea on a luxury cruise with Ponant. Sail on board luxurious yachts that are built on an intimate, human scale. French crew, expertise, attentive service, gastronomy: set sail in a five-star environment and enjoy a travel experience that is simultaneously authentic and sophisticated. For over 25 years, Ponant’s luxurious ships have been calling in mythical ports and little-known anchorages only accessible to smaller ships. 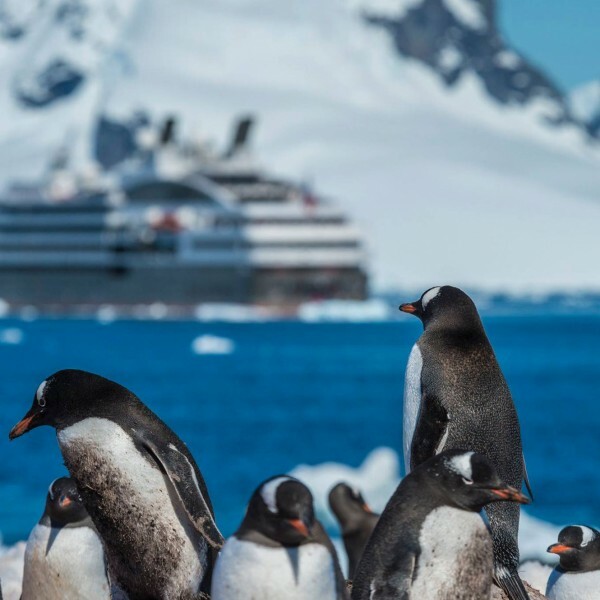 As the leading provider of high-end expedition cruises, Ponant also offer sunny short breaks in the heart of the Mediterranean, cruises along the Celtic shores, and stunning trips to the faraway islands of the Pacific. Each of Ponant’s ships has its own individual personality and they all encapsulate the art of cruising “à la française”. Enjoy Ponant’s “Elegance, Emotion and Authenticity” and welcome aboard! Relish chic cruising without the crowds and experience the comfort of a private cruise on board a choice of seven ships, all of an intimate size, ranging from between 64 to 226 guests. And during your cruise, you can take the opportunity to discover exceptional sites, coming close to landscapes which are so often inaccessible to large vessels. Aboard all the vessels, you will find a spacious and uncluttered environment where you can relax. Have fun within a casually elegant atmosphere, without formalities. Relish exquisite dining with French and international cuisine, with complimentary wines included at lunch and dinner. Gastronomy, an essential element of French culture, is naturally high on the agenda aboard Ponant ships. Fresh products, carefully selected ingredients, beautiful presentation and talented chefs create outstanding cuisine for you to enjoy. Many extras are included – all meals while on board, mineral water, tea, coffee, wines served during lunch and dinner, evening entertainment and events, baggage handling from pier to ship and vice versa. 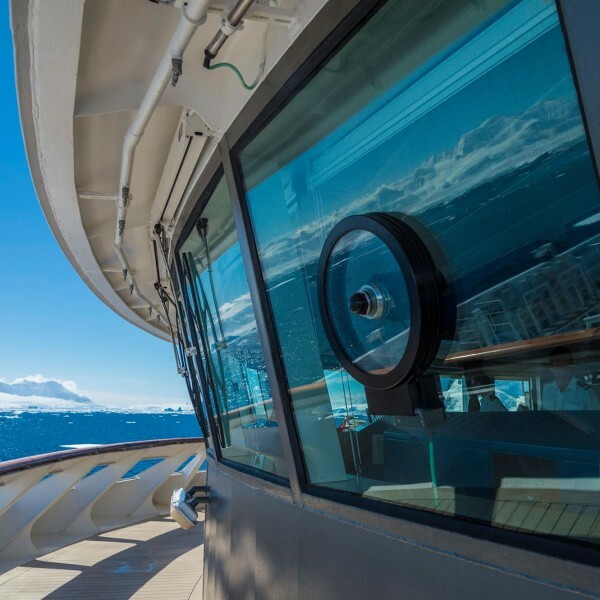 And crew members, all versed in elegant discretion, will see to it that you enjoy a welcome that will make your cruise with Ponant a unique and memorable experience. Ponant’s fleet of 7 vessels allows for choice both in terms of type of ship and destinations. Ponant offers chic cruising without the crowds: experience the comfort of a private cruise onboard vessels of an intimate size: exclusive to between 64 to 226 guests. Interiors are elegant and uncluttered, delight in the fun and casual elegance onboard without the formalities. 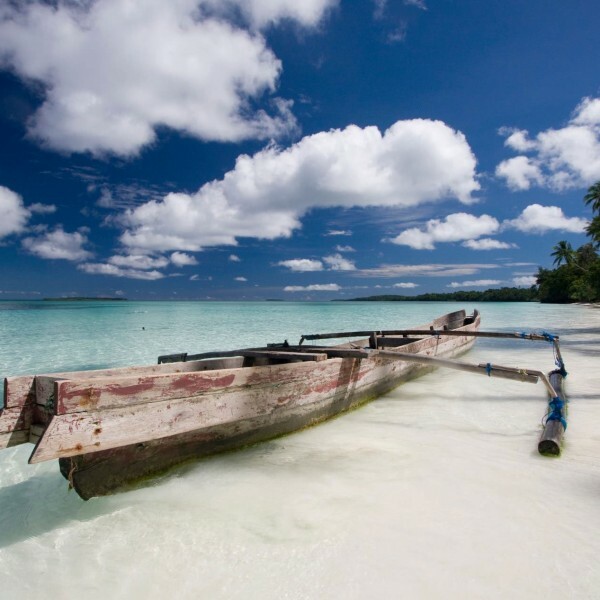 Discover exceptional sites and come close to landscapes so often inaccessible to large ships. 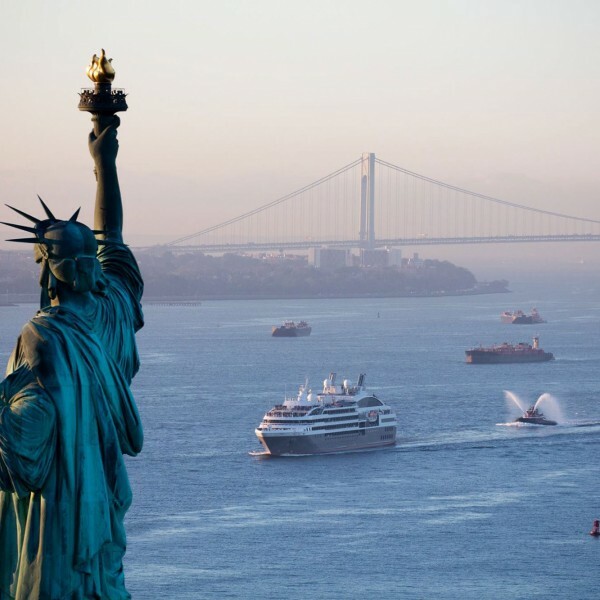 The french registry allows Ponant to visit destinations often not visited by other lines, including Cuba and Libya. Enjoy onboard seminars with international experts, passionate about their subjects, giving a further dimension to the sights you see. Exquisite dining with French and international cuisine, with complimentary wines included at lunch and dinner. Crew members, all versed in elegant discretion, will see to it that you enjoy a welcome that will make your cruise a unique experience. Many extras included: all meals while onboard, mineral water, tea, coffee, wines served during lunch and dinner, evening entertainment and events, baggage handling both from and to pier to ship. For more information about luxury cruises with Ponant, contact us on 01923 284148 or send an email to info@ultimatedestinations.co.uk. We will be delighted to be of service.